Specialising in boats, jetskis and outboard motors, Brokerage Marine is Auckland’s fastest growing boat dealer. They have a premier location at Auckland’s Hobsonville Marina, and a great reputation for supplying quality marine equipment, but their website was far from sea-worthy. Brokerage Marine sent out an SOS. They had an old, broken website which was a proving to be a real liability for their business. We stepped in and created a new site which meets their current business requirements, while allowing them to grow into a new sales model when they’re ready. 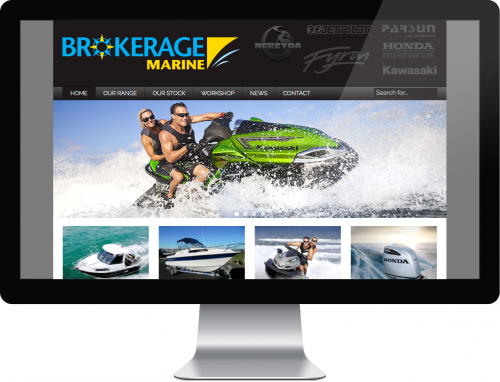 With Responsive Web Design, customers can view boats, jetskis and outboard motors for sale using their smartphone. The new website is proving to be a real asset to their business.